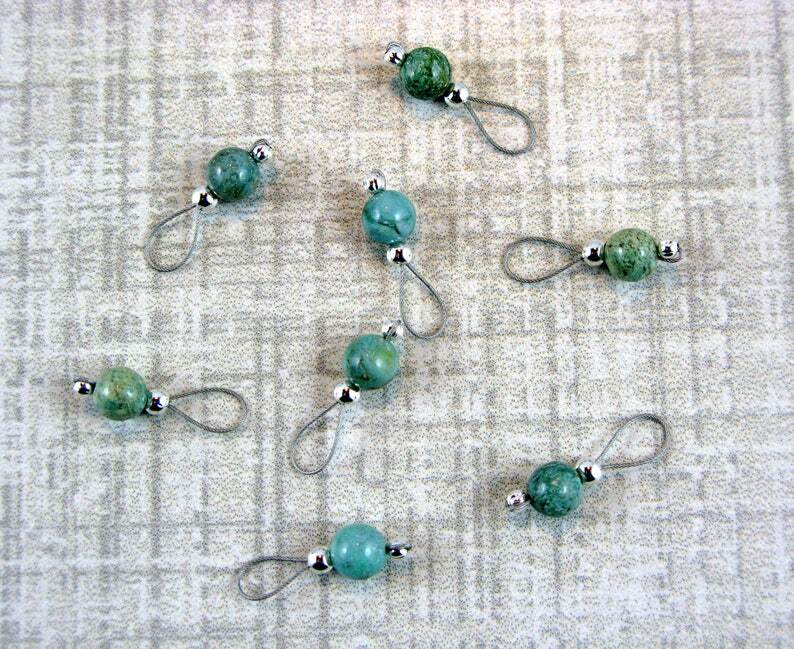 This set of 8 Soft Loop markers has 6mm African jade beads and are mounted on silver colored wire. My favorite style of stitch markers! I cannot say enough good things about these stitch markers. The thin wire and dangly nature means my tension is never compromised, and I have never once had yarn snag on them. The beads will occasionally slip into holes in lacy knits, but that's never bothered me. And they're just so pretty! It adds a little bit of happiness to my projects to see a bunch of them dangling along my needles. Love them! Very well made, and lovely packaging! Thanks so much!